K2 Energy Begins 6 Month Battery Endurance Experiment. HENDERSON, NV, USA, October 22, 2018 /EINPresswire.com/ -- K2 Energy is putting its battery systems to the test in extreme climates once again to prove that when performance matters, K2 Energy is the clear choice. This test will be taking place in glacial region of Greenland. 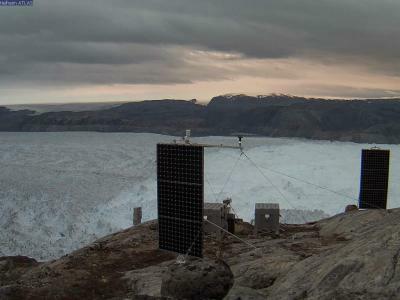 The Company’s batteries have been designed into a Lidar scanning and surveillance system that has been put in place to continuously monitor the Helheim Glacier. During the experiment, K2 Energy batteries will be run to depletion while powering these systems, once discharged, they will remain dormant through Greenland’s long, dark winter until the spring when the attached solar panels can generate power to charge the batteries and power-up the system remotely. The goal of the experiment is survival of the batteries for 6 months at a [0%] state of charge, K2 Energy is confident that the batteries will be able to continue balancing, charging, and powering this system autonomously for even longer. Traditional batteries do very poorly in these conditions, with cold temperatures greatly impacting performance or damaging the systems. Costly shipping to remote locations due to extreme weights is an added concern when deploying products. K2 Energy’s battery systems can be up to ⅓ the weight of traditional batteries, and they are an industry leader when assessing performance through a wide range of temperatures. K2 Energy is a fast-growing global organization with production facilities in China and Las Vegas, NV. The Company provides Lithium Cells, Modules, and Battery Management System Solutions across the Military, Medical, Industrial, Aerospace, and Commercial markets. K2 Energy offers turnkey solutions while utilizing a strong engineering knowledge base encompassing cell, pack and system research, design, development, and manufacturing. K2 Energy is able to optimize battery solutions to achieve customer goals. K2 Energy Lithium Iron Phosphate batteries are used worldwide in many advanced applications and power a variety of electric vehicles. K2 produces both energy-optimized and power-optimized products, which have a multitude of consumer, product, safety, and environmental benefits. We strive to create energy products that outperform traditional batteries in performance, safety, power and environmental benefits. Producing both energy and power battery cells, modules and systems, we are certain that our products will stand up to whatever challenge you may be facing and will last for years to come. K2 Energy has announced the appointment of Eric Villarreal as VP of Operations and Technical Sales.